The department organized modi script writing class from 30th July 2011 to 3rd September 2011, on every Saturday and Sunday from 12 noon to 2 pm. 98 participants participated in this class of whom 52 were male participants and 46 were female participants. Prof. Girish Mandke, expert in Modi writing and reading had worked as a teacher. 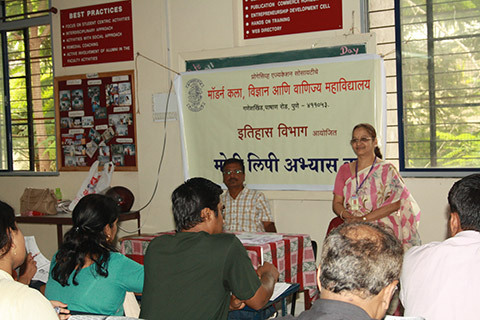 The department organized one day seminar on 17th December 2011 for UG and PG students, research scholars and teachers under the Quality Improvement programme of the University of Pune. The topic of the seminar was ‘Ancient Indian culture, History and Archaeology’. 106 delegates attended the seminar. The seminar was inaugurated by Dr. Gautam Bhong, Dean Mental, Moral and Social Sceiences, University of Pune. Dr. Pramod Joglekar, Deccan Colleghe, delivered a speech on the importance of archaeology. Prof. Girish Mandke, Deccan College, Pune delivered a speech on epigraphy and Numismatics. Prof. Sachin Joshi, Deccan College Pune, gave a talk on Medieval Archaeology. Dr. Raja Dixit was invited as a chief guest for the valedictory function. Every year the college organizes Yuva Saptah from 12 january to 19 january. The department of history organizes written quiz competition, Kaun Banega?? History Scholar!! On 14 January in this Saptah. In this academic year 106 participantsparticipated in this activity. 23 to 25 February 2012 attended national level seminar on Rewriting history new perspective of Maratha History organized by department of history, University of Pune. The department organized Modi script writing class from 28th July 2012 to 19 August 2012. 20 participants participated in this class. Prof. Girish Mandke, expert in Modi writing and reading had worked as a faculty. The Department organized Modi Script Writing Class from 3rd August 2013 to 25th August 2013, on every Saturday and Sunday from 12:00 noon to 2 p.m.
25 participants participated in this class of whom 18 were male participants and were 7 female participants. Prof. Girish Mandke, expert in Modi writing and reading had conducted this class and taught the basics of Modi. The certificates were distributed to the participants at the hands of Hon. Principal Dr. Sanjay Kharat. A Guest lecture was organized on 9th December 2013 on the topic, “Swami Vivekananda: ek chintanshil vyaktimatva”, by Shri. Vishwas Lapalkar. During the Yuva saptah a Powada was arranged by the Department. The Powada was performed by Shahir Balasaheb Maluskar and his team on the topic “Tanaji Malusare”. Every year the College organizes Yuva Saptah. The Department of History organizes written Quiz competition ‘Kaun Banega? History Scholar! !” in this Saptah. From this year onwards the competition was arranged on inter collegiate level jointly organized by the Student welfare Department, University of Pune on 11th January 2014. Attended and presented a paper on the topic, Contribution of Stree magazine in empowering women -1930-1947, in the two day National Seminar on ‘Empowering Women in Higher Education’, organized by Modern College of Arts, Science & Commerce, Ganeshkhind, Pune -16 (Faculty of Arts) on 26th and 27th September 2013. Attended workshop on Revised Syllabus of History on 8th February 2014 organized by College of Arts, Science & Commerce, Baramati. Article published in Loksatta newspaper titled “Parkiyanchya najretun Shivaji Maharaj” on 16th February 2014. Attended the two day National Seminar on ‘Empowering Women in Higher Education’, organized by Modern College of Arts, Science & Commerce, Ganeshkhind, Pune -16 (Faculty of Arts) on 26th and 27th September 2013. On 1st August 2014, a lecture of Hon. 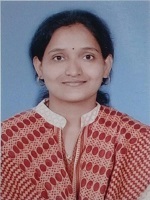 Mukta Tilak, Nagarsevika (Corporator) of Pune Municipal Corporation was organized. The program was organized as a part of celebrating completion of 100 years to the release of Lokmanya Tilak from the Mandalay Jail and his death anniversary. Through her lecture, Hon. Mukta Tilak, spoke about various incidents related to life of Lokmanya Tilak. She introduced the proud and self respecting personality of Lokmanya Tilak to the students. She also pointed out that inspite of imprisonment, Lokmanya Tilak continued with his writings and throughout his lifetime he practiced the philosophy of ‘Nishkama Karma’. She also spoke about the unforgettable contribution of Annabhau Sathe, whose birth anniversary was on the same day. She commented that this was a very remarkable coincidence. Principal Dr. Sanjay Kharat expressed his views on this occasion. He asserted that every student should take inspiration and motivation from great personalities like Lokmanya Tilak. The anchoring of the program was done by Amar Chandere and Priyanka Shedale proposed the vote of thanks. Both are students of History Department. Dr. Jyoti Gagangras, Vice Principal (Arts Faculty) was also present on this occasion. On 9th August, a lecture of Hon. Pradip Agashe was organized on the occasion of ‘Kranti Din’. He explained the importance of this day to the students. He stated that many revolutionaries have laid their life to gain independence. Hence we need to understand its value. We should practice norms like honesty while living in the society. Every student should take a pledge that, “I will practice good conduct, I will behave truthfully”. Only then, the country will regain its glory and we will be able to make a mark in the entire world was the view expressed by him. 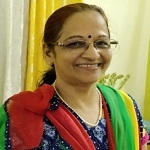 The introduction of the program was done by Prof. Shruti Bhatkhande, HOD History Department. Sheetal Mali introduced the speaker and Shreya Gaikwad proposed the vote of thanks. Prof. Shruti Bhatkhande, Prof. Dr. Priya Kulkarni-Gohad, Prof. Shweta Sawale, Prof. Gauri Kopardikar and Prof. Dr. Sanskruti Awalgaonkar took active part in the organization of these lecture series. The Department organized One- day Educational Tour on 17th September 2014. In all 26 students and 2 teachers participated in the tour. Dr. Babasaheb Ambedkar Museum is located in the campus of Symbiosis College, Senapati Bapat Road, Pune. Various photographs and information related to the political, social, religious life of Dr. Ambedkar as well as the articles used by him in his day to day life are displayed in the museum. This helped the students in understanding the character sketch of Dr. Ambedkar. The Bhandarkar Oriental Research Institite is located at Bhandarkar Road, Pune. Information related to the oriental research conducted by the institute was given to the students. Ancient manuscripts, religious texts, legal texts were shown to the students. They were able to actually handle these documents. This helped the students in developing and understanding the research methodology. To inculcate and increase the tendency of research among the students was the basic idea behind conducting the tour. The Department organized One- day Educational Tour on 2014 at Sinhagad and on 12 December 2014 at Parvati. In all 20 students participated in the tour. The main aim behind conducting these two trips was for creating awareness and implementing the Cleanliness movement on historical sites. 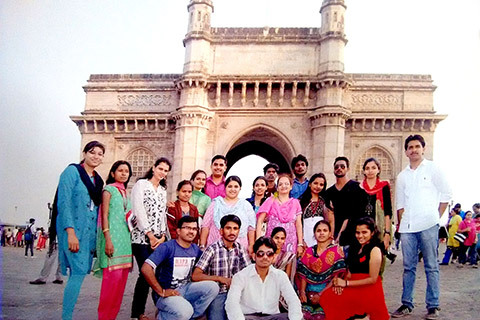 The Department organized One- day Educational Tour on 24 February 2015 at Mumbai. In all 48 students, 3 staff members and 2 non teaching staff participated in the tour. Nehru Science centre and the Chhatrapati Shivaji Maharaj Vastu Sangrahalay were visited. The museum is a rich collection of Historical artifacts and is very informative from the student point of view. Various spots like Gateway of India, Mantralay, Haji Ali, Nariman point were visited on the way. The tour got a good response from the students. In the academic year 2014-2015, P.E. Society’s Modern College of Arts, Science & Commerce, Ganeshkhind Pune: Department of History had organized Modi Script Writing Class from 2ndAugust 2014 to 24th August 2014, on every Saturday and Sunday from 12:00 noon to 2 p.m.
26 participants participated in this class of whom 16 were male participants and were 10 female participants. Among these participants, 6 Students were from Modern College of Arts, Science & Commerce, Ganeshkhind Pune. The others included Senior citizens, housewives, professionals and students from other colleges. On 23rd August 2014, the felicitation of students was done with the certificates at the hands of Hon. Principal Dr. Sanjay Kharat, Modi Script teacher Prof. Girish Mandke and Modi Script Classes Co-coordinator Prof. Shruti Bhatkhande. Hon. Principal Dr. Sanjay Kharat expressed his views on this occasion. The participants gave a good feedback regarding the course. On 4th October 2014, a lecture was arranged by the department on the topic, ‘Adhunik Kalatil Gandhi’. Hon. Sandip Barve was the main speaker. He is the Secretary of Shanti Dal, Maharashtra Gandhi Smarak Nidhi Sanstha. He expressed his views on the Gandhian Philosophy, and the need of morals like truth and non violence in present days. This lecture was organized by the post graduate department of History. Prof. Shruti Bhatkhande, HOD Department of History was present on this occasion. The anchoring of the program was done by Murli Sapkale, student of MA- I (History). This is a unique competition held by the History department every year since 2011. From 2013 onwards the competition became inter collegiate sponsored by the Student Welfare Department (Savitribai Phule Pune University). We conduct 50 marks written multiple choice questions, and rankers are selected as per their performance. The students are felicitated with special trophies. Every year the department gets a huge response from participants including students from all streams, teaching as well as non teaching staff of the College. Sir Parshuram College, Tilak Road, Pune. During Vividha, the department plays an active role. This year the department had organized a Demonstration of Chh. Shivaji’s war tactics. 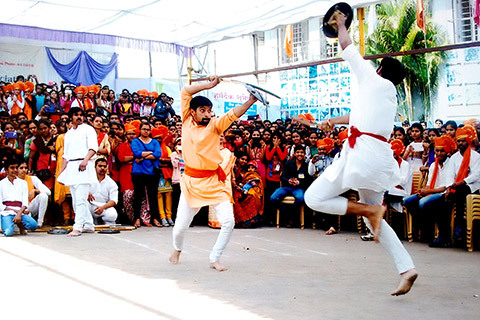 Pratik Varhade, an ex-student of the department and his group presented thrilling demonstration of weapons like sword, spear, fire, rings etc. used during the Maratha period. This year the NSS camp was arranged at the village of Jambe. The department staff along with the students conducted the survey of the village and submitted a detailed report of the history of the village to NSS department. Published paper on the topic, “Bharatiya Swatantrya chalvalitil Striyanche Yogadan Avantikabai Gokhalke”, at the State level workshop and Pune University History Teachers Association at Bharatiya jain Sanghatna’s Arts, Science and Commerce College, Wagholi, Pune on 12 & 13 January 2015. 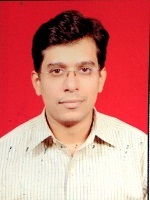 Joined the department on 1 December 2014 as lecturer. MODI was one of the most important scripts of medieval Maharashtra. Earlier, in Maharashtra, documents regarding Land Revenue, Judiciary, Justice, Donation of Land (Dan-Patra), Religious matters, Property matters (e.g. matters between brothers), Jahagir watan, Military orders (Farman) etc. were written in MODI. Research of these medieval documents is not possible without having proper knowledge of MODI script. Department of History has been conducting classes on MODI script writing since 2009. Prof. Girish Mandke from Deccan College who is an expert in MODI script was appointed as a teacher. 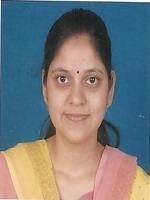 Prof. Shruti Bhatkhande, Head of History Department is the coordinator of this activity. Every year there is a very good response to this course. The participants include students (school & college students) along with engineers, charted accountants; architects, lawyers etc. the course is designed with the aim of promoting research of historical documents which in turn will put more light on the unknown history. The department organizes study tour and heritage walk for the students to various historical sites within and outside Pune. Since the academic year 2014-15, the department has taken an initiative of cleaning the various heritage sites in Pune through the concept of ‘Swachhata Abhiyan’. The students have given a very positive response to it, and carried out this work at Sinhagad fort and Parvati in Pune. The main aim behind these tours is to create awareness among the students regarding our Heritage and to teach history through practical ways as well. One day seminar on Ancient Indian History, Culture and Archaeology in 2011-12. Eminent speakers like Dr. Pramod Joglekar, Girish Mandke and Sachin Joshi were invited. The department organizes various guest lectures throughout the year on various topics related to History. Scholars and researchers from the field of history are invited to guide our students as well as create interest in the subject. Department library- The department has its separate library with good collection of books related to ancient, medieval, modern history, competitive exams, national and international journals and other books related to personality development and career guidance. Students are given complete access to these books with the sole aim of inculcating reading habits among our students.